Part Used & Method for Pharmaceutical Preparations: The whole plant. Herba Aristolochiae Mollissimae is produced mainly in the provinces of Jiangsu, Hunan, and Jiangxi. This herb is the whole plant or rhizome. It is collected in summer and autumn, dried in the sun, and cut into segments for use. Wind-damp obstruction syndrome manifested as joint pain, numbness of the limbs, tendon and muscle spasms and pain from external injury. 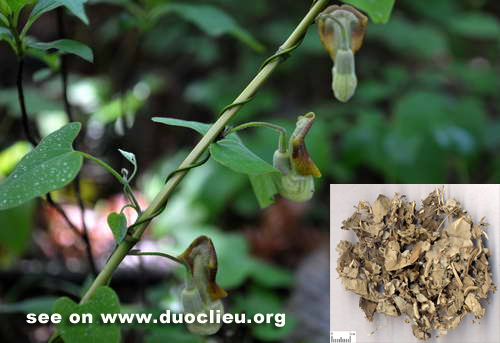 Hairy birthwort (Xungufeng) may be used alone in decoction or soaked in wine, or used with other herbs that dispel wind and dampness. Used for stomachache and toothache.